Steak sandwiches will always remind me of my grandma. She was a big fan of mom-and-pop restaurant steak sandwiches to go. When Jesse and I started dating, we went to all kinds of places to eat. (I've heard being in love makes people gain weight. I wouldn't say it's being in love. I would say it's all of the celebratory meals. "Yay! We're in love. Let's eat!") Jesse and I would bring a steak sandwich for her from time to time when we were out. 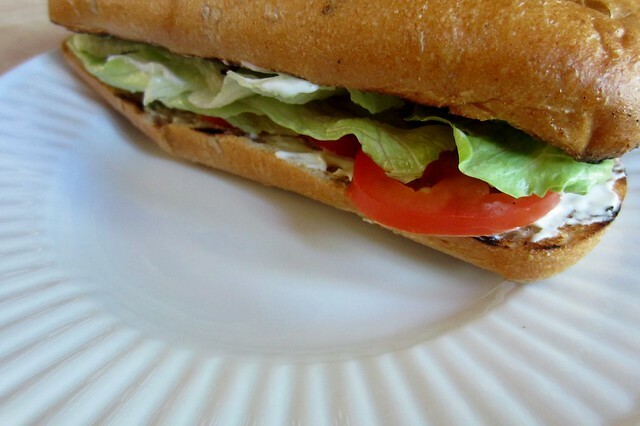 For this sandwich, Jesse grilled thinly sliced steak. 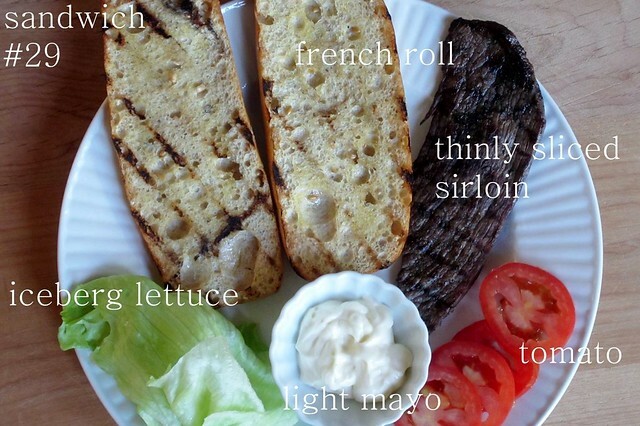 He also brushed some olive oil on each side of the French roll and lightly grilled that. 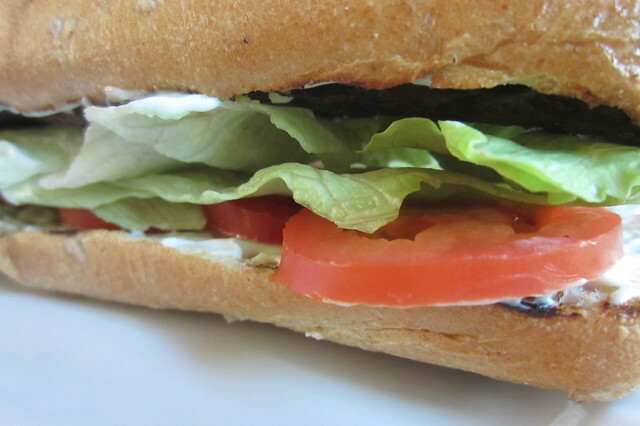 He assembled the sandwiches by adding light mayo to each side of the bread; layering the steak, lettuce, and tomato on one side of the bread; and then, obviously, topping it with the other slice of bread. I LOVE steak sandwich...carne asada meat YUMMMY!!! !